Does saffron mixed with milk help improve the complexion? Scrub the paste on the face and rinse with clear water.This is an excellent recipe to improve the clarity of the skin. Follow this cleansing at least once or twice a week. As a therapeutic plant, saffron it is considered an excellent stomach remedy and as an antispasmodic, it helps digestion and increases appetite. It is also relieves renal colic, reduces stomachaches and relieves tension. It has been used as a drug for flu-like infections, depression, and as a sedative. It is also considered that in small quantities it regulates women's menstruation, and helps conception. Saffron lowers the rate of heart disease. The spice is used by traditional healers to alleviate fatigue and exhaustion, as it strengthens the heart and nervous system. It is also known to improve the mood and clear the brain. Saffron is high in thiamin and riboflavin, two vitamins that are known to promote a healthy heart. Related: Use saffron for that perfect glowing skin! Home » Frequently asked Questions on Health » Does saffron mixed with milk help improve the complexion? Q: I take saffron mixed with milk before going to bed at night regularly. But my complexion has not improved. 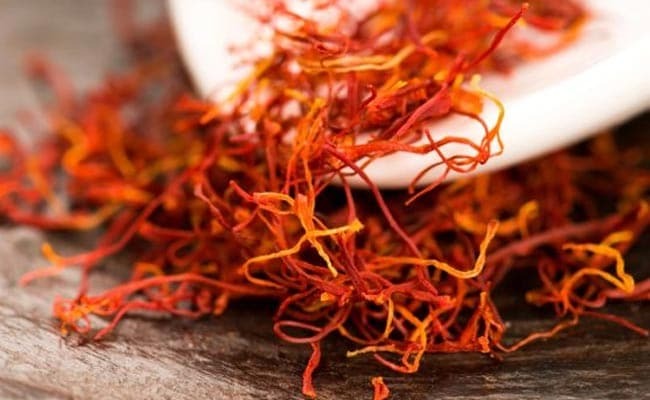 When should I take the saffron in order to improve my complexion, in the morning or evening? For how many days do I have to take this? What are the other uses of taking saffron? In olden times in India, the yellow colour produced by soaking saffron filaments in milk was called the very perfection of beauty. The use of saffron as a face mask to remove pimples and soothe rashes has been used since ancient times. Saffron is antiallergenic and a paste made from saffron, applied on the face and exposed parts of the body is used in the same way as foundation makeup is used. Saffron paste impart smoothness to a woman’s skin, it also gives the skin a golden tint. Your skin complexion is combination of various factors inter playing together like your water intake, nutrition, etc. Instead of soap use gram flour (equal quantities of green gram and Bengal gram) mixed in milk or rice water with a pinch of saffron.